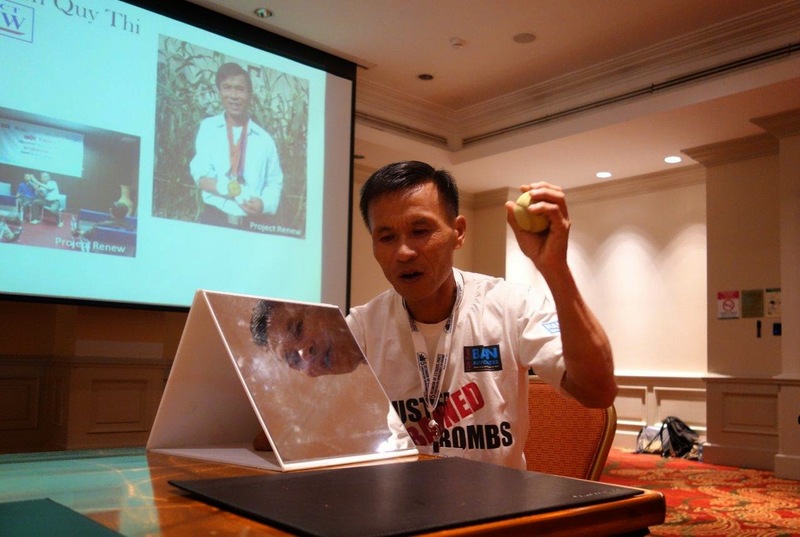 Pham Quy Thi who lost his right hand and part of his right arm to a hidden landmine explosion, made the long journey from Vietnam to the Costa Rican Cluster Munitions Convention to demonstrate the use of ETPP Mirror Therapy as a means to diminish or end Phantom Limb Pain for amputees. Mr. Pham traveled under the auspices of Project Renew, Dong Ha, Quang Tri, Vietnam. 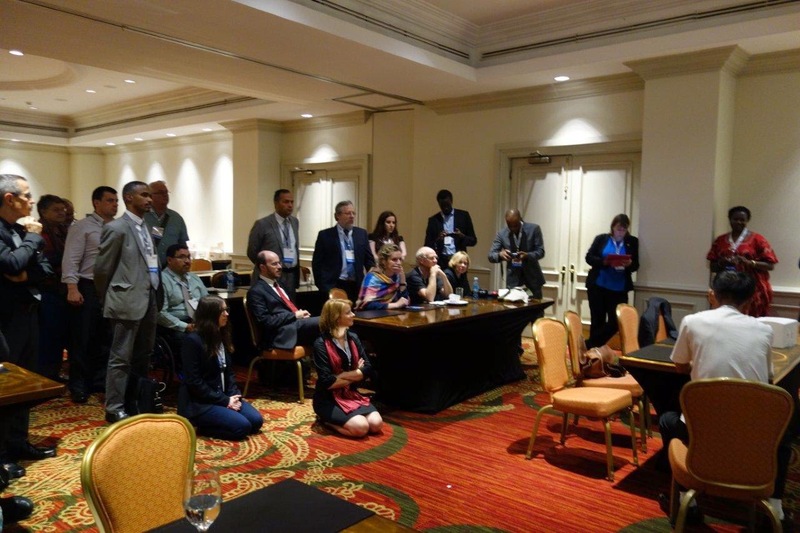 Mr. Pham's demonstration totally captivated the attention of the Meeting of States delegates who attended his side event at the Convention on September 5, 2014. For further information about Mr. Pham shedding 36 years of Phantom Limb Pain through Mirror Therapy, please refer to the blog of December 5, 2013.